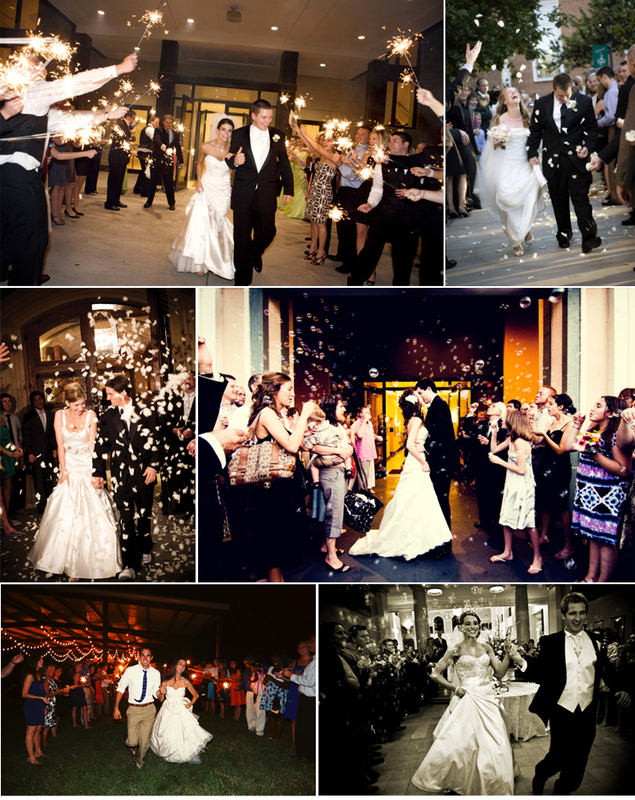 If you’re looking for a way to exit your ceremony or reception in style, then let your creativity run free! From sparklers and confetti to rose petals and bubbles, an exciting grand exit will make lasting memories and gorgeous photographs! We love how these photographers have captured that special moment for the happy couple to always remember. Tip: If you choose to go with sparklers, make sure you have a designated place to put them afterward so nothing catches on fire! Cheers!